Nuby Printed Pacifier with Cover | Blue | massage and stimulate your baby's gums. 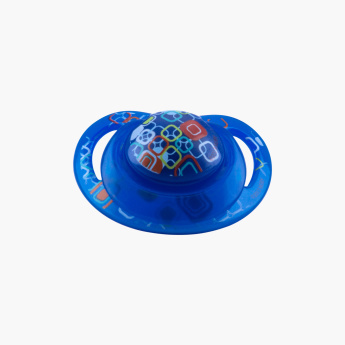 An ideal choice to keep your kid relaxed, this pacifier with the print all over is quite a smart choice for your angel. Safe and comfortable for your child to use, the pacifier stimulates the gums while massaging them. Feature 1 : massage and stimulate your baby's gums.